Vacation is definitely a time for exploration and my family loves investigating the lay of the land no matter where we are. My family loves areas that offer us a chance to walk around in, exercise, enjoy nature and retreat either before or after a day out. We have found that staying in a rental home is by far more family friendly than staying in a hotel, and we also have learned that some private homes in communities, offer the best amenities under the sun! The owners are all about providing comfort, hospitality, and a 5 star environment. The home is actually an Executive Villa, part of a beautiful community in Sunset Lakes. I have taken the time and effort to study the home, its offerings, as well as the area, and each time we have been in Florida we drive around and look at different communities. Taking the time to pre plan a trip is often my key to sanity. We are quite excited with the walking area as it offers the chance to get up close and personal with a nature reserve that is right within the proximity of the executive villa. Kids need to be kids and no amount of site seeing can allow them the fun they need, but the playground in our community can. In addition to the play area, there is a nice walking area, and a community pool. The lake has a boardwalk that we can gather on to see the night time Disney fireworks or just enjoy the great skyline. Again, I am a firm believer in not just the attractions that we are paying to see but those that are free, fabulous and right in our own living area. 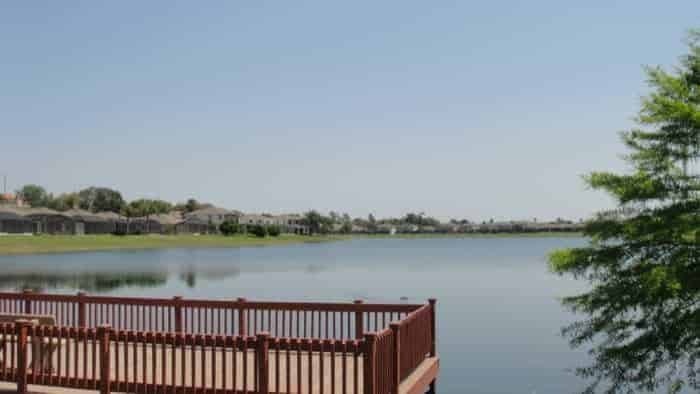 What you will find is a wonderful lake, beautiful homes and some great wildlife from armadillos to Sandhill Cranes. The stores are close by so we know that we have some fun times ahead enjoying great Florida retail without traveling far. Sometimes we eat dinner, and run off to the stores for a bit, and then return home to play in the game room, take a walk to the lake and then a dip in the pool. A perfect vacation can be as simple and realistic as the home you are staying in and the neighborhood it is in. 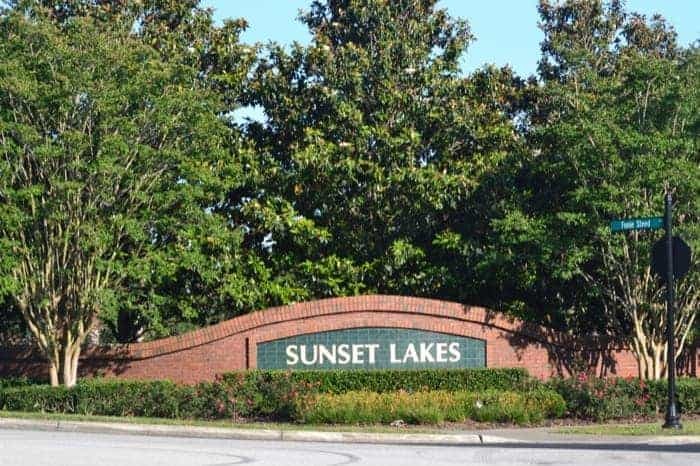 If you want to visit this neighborhood and this great area make sure to check out the availability here and see if you will be one of the lucky families to spend time at this amazing home and community. Remember to plan ahead because this home is a popular retreat for those of us that already know about it. This is so beautiful! I’ve never been to Florida… I would definitely go there! i have never been to florida, but i would like to visit disney world. i bet it was nice staying so close to disney and the lake looks beautiful! I would love to stay at this place and save money while visiting Disneyland. I think it looks so pretty with the lake outside the deck. This would be a paradise getting to go here. Maybe someday! Thanks for the review! This looks like a lovely relaxing place for a vacation. The photos are wonderful and I would enjoy this area with my family. I wish I could afford to vacation more often. The lake picture is so serene. I do the same thing….we find local fun stuff to do with the granddaughters…..we just don’t have the funds to do all the fancy stuff. But we have so much fun. Never knew about this. Maybe the next time I am in PA, (next summer) I will check it out. Thank you for the awesome updates!! Thank you for the updates! Its nice to hear and learn from others. I travel around in a toyota shasta motorhome. Tennessee was awesome at dollywood. Just four miles from Disney? Nice! I’ve never been to Disney but it’s on my bucket list! I’ve been to Florida for Christmas and that was wonderful (but cold)! I hope to get back there someday, and I think that a rental like you’re looking at is the perfect way to save money. I’ll have to check that place out if we go to Disney!